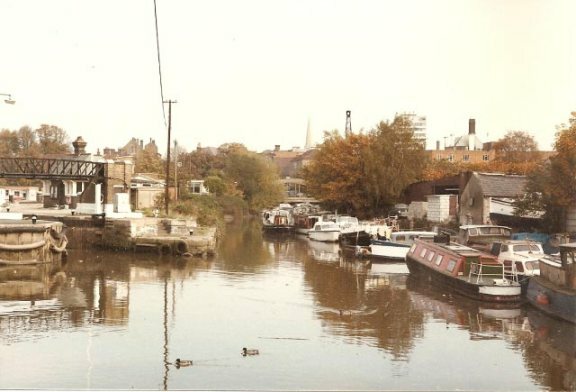 Arthur Peters has provided this photo which he took around 1975, showing Brentford Lock before the area was developed. The spire of St Paul's church is visible right of centre. See a similar view by Dave Stoneleigh, 2008.